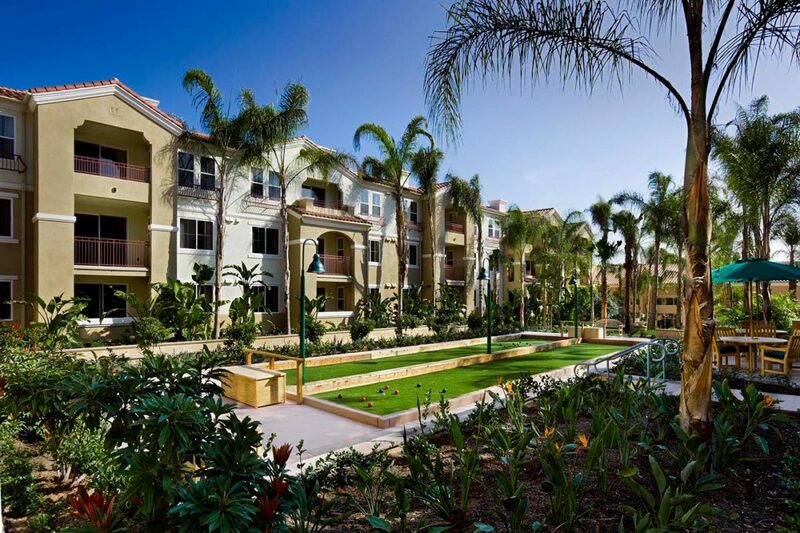 An upscale Continuing Care Residential Community (CCRC) in northern San Diego County, La Costa Glen brings a new dimension to an existing resort neighborhood. With private rooms and group dining, this luxurious facility allows aging residents housing alternatives within the facility neighborhood. 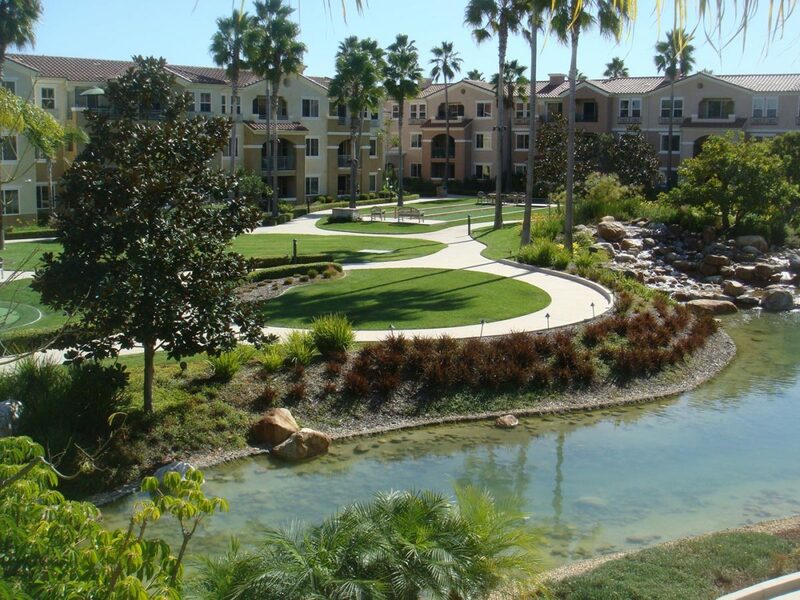 ima used an innovative landscape design to integrate a three story apartment building, one story independent villas, and a health center into the existing master planned La Costa resort. 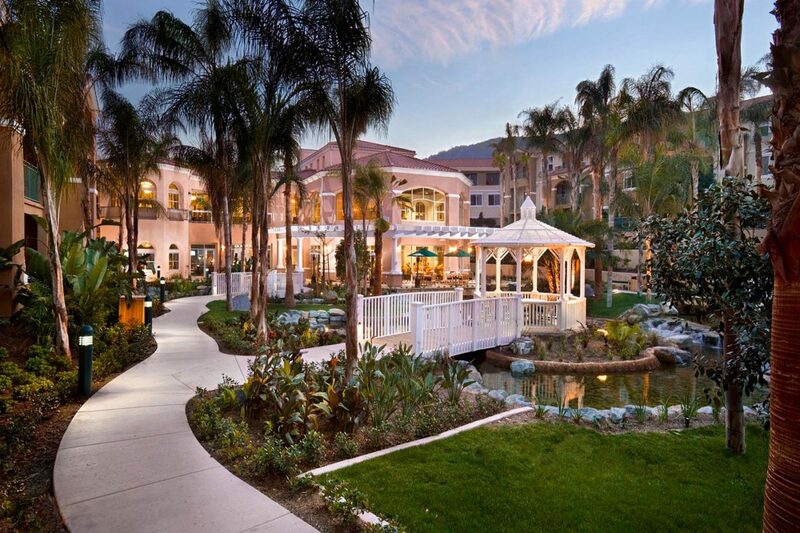 Sprawled across 60 acres, La Costa Glen is set amid riparian and hillside chaparral and encourages residents to interact and enjoy the site’s natural beauty. 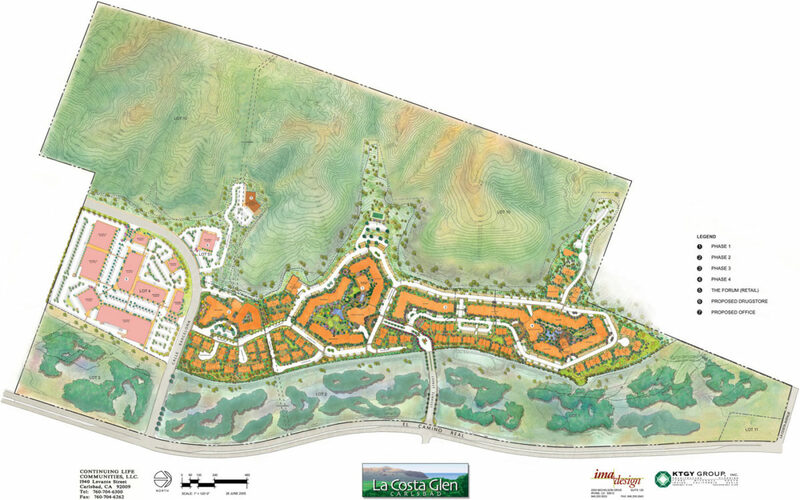 The project’s landscape, unlike typical residential development, encircles La Costa Glen with abundant beauty. The visually complex garden features 170 varieties of plant material, with each specimen inviting residents to experience the garden’s ever-changing beauty through touch, sight and smell.